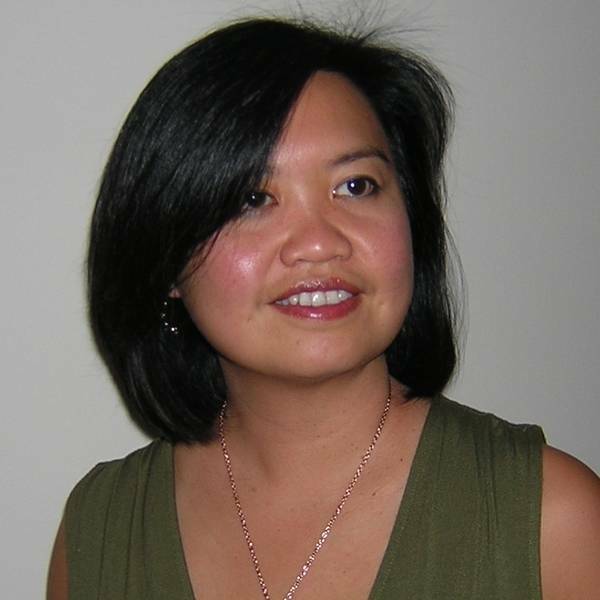 In this blog post, Kien Lee, our evaluator outlines recommendations for folks who are supporting racial equity work. We are lifting up lessons we’ve learned from our Racial Equity Here cohort, five cities working to operationalize racial equity in local governments. Check out our Racial Equity Here page for more about what we’ve learned from this work. Funders and evaluators have to take the time to develop the same depth of understanding as they expect of their grantees and partners about the normalizing, organizing, operationalizing, and visualizing framework and logic model. The stages of change reflected in the framework and logic model can be tailored to any effort to achieve racial equity. The framework is essential to help funders and evaluators understand the progression of change that is feasible and realistic to expect within the performance period of a racial equity grant. This understanding drives their expectations for outcomes and evaluation as well as the technical assistance support required for grantees. Therefore, funders and evaluators must take the time to fully understand the framework and the assumptions, experiences, and knowledge underlying the framework. Funders can apply the framework and logic model to their own institutional policies, norms, and practices and set an example for their partners, grantees, and peers. The framework is about institutional change and as mentioned above, the stages and sequence of change can be applied and tailored to any type of organization. Funders can use it to normalize racial equity and develop a plan to use their power as funders to achieve racial equity by setting an example for their partners, grantees, and peers. They can build in expectations about racial equity into their partnership agreements and grant requirements. Funders have to ensure that their partners (including evaluators and technical assistance providers) and grantees develop a shared and thorough understanding about the meaning, role, and function of community engagement in racial equity efforts, and have the competencies to engage communities. Community engagement is essential in any racial equity effort because inclusiveness — especially of communities of color — is a key factor in the process of achieving racial equity as well as an outcome of racial equity. Community engagement is a frequently-used term by foundations, nonprofit and grassroots organizations, and public agencies, and it has a different meaning to each of them. If funders and their partners (e.g., technical assistance providers, coordinating entities, and evaluators) and grantees do not arrive at a shared understanding and clear expectations about who is referred to as the “community” and what is meant by “engagement,” not only can the implementation go awry, the evaluation could end up measuring the wrong thing. Funders are also responsible to ensure that grantees and partners have the competencies needed to conduct community engagement work, particularly when the engagement relates to communities of color. Community engagement is central to cities’ racial equity strategies. It’s also where cities need a lot of support. Funders need to examine the power differences they can create or eliminate through their funding efforts and also require grantees and partners to conduct a similar examination of their work and roles. Power is a very salient issue in efforts to achieve racial equity, and funders and their grantees and partners affect power dynamics through their work and roles. Power dynamics are present among funders, grantees, and their partners, as well as between each of them and the communities in which they operate and which they serve. Funders have to create time and space in their own institutions as well as with grantees and partners to confront — in an honest and courageous manner — the issue of power and the roles they play to effect power. Their discussions — if done honestly — will surface discomfort, disagreements, and conflicts. Therefore, it is absolutely necessary that a skilled and neutral expert facilitator who also understands equity and power to design and facilitate the discussions. Power mapping or a similar activity is an important part of racial equity work, and funders have to confront and be comfortable with the fact that they are frequently part of the power structure. Funders who want to fund racial equity work have to confront the fact that they too are part of the power structure and may inadvertently perpetuate the inequities experienced by the organizations they fund and communities in which they work. They have to check themselves and their practices (e.g., meet community-based organizations in community spaces that are convenient and familiar to community leaders, and not necessarily at the foundation’s office; hold meetings in the evenings after traditional work hours; find ways to support grassroots organizations that are do not have 501©3 status), and be willing to consider changing their current practices. Technical assistance providers need to assess the norms and typical practices of grantees related to strategic communications, community engagement, and partnership development, and be prepared to address tensions that could emerge from this assessment. 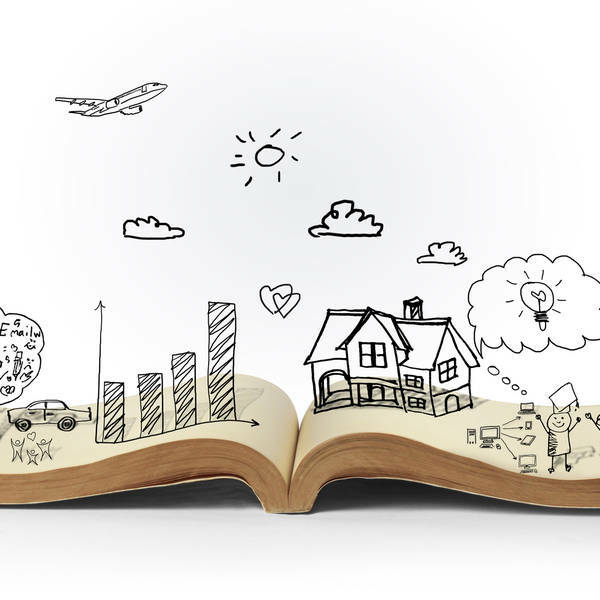 When grantees have an organizational culture around strategic communications, community engagement, and partnership development, they tend to approach the work in a way that is familiar and comfortable for them. These functions, however, have to be approached differently when the work is explicitly about racial equity. For instance, the strategic communications strategy has to be intentional about the language and terms used (e.g., racial equity, equality, diversity, inclusion, etc. ), how messages are delivered and by whom, and how power differences are dealt with. The community engagement and partnership strategies have to be thoughtful and deliberate about who from the community is invited to share their perspectives and the credibility of that person or persons in their communities, and how to go about reaching deep into communities for partners who are not the “usual suspects.” The shift from the typical practices and norms of a grantee organization to new and more deliberate ways of communicating, engaging the community, and developing partnerships could create tension and discomfort for the people responsible for these functions in the organization. In addition, new knowledge and skills may be required. Therefore, it would be helpful for technical assistance providers to be very intentional about understanding how grantees have done their work in these areas before, help grantees examine how they need to do the work differently to achieve racial equity and what competencies are needed, and then assist the grantees appropriately. An effective facilitator is needed to facilitate the cross-site learning and to surface uncomfortable situations related to race and racism, and to use these situations as learning opportunities. Funders must be prepared to allocate resources to regularly convene participants, especially if the participants come from different places across the United States facilitate peer learning, especially with regards to 1) helping participants see that they are not alone in some of the challenges they face in dismantling structural racism, and 2) lifting up some of the attempts that have worked to continually raise the standards for racial equity work. The work of promoting racial equity is undoubtedly hard and often, participants from across places are relieved to know that they are not “behind.” At the same time, they also need to bolster each other’s work by sharing what has worked in their respective places and using each other’s success to add credibility to racial equity work. An effective facilitator is needed to facilitate the cross-site learning and to surface uncomfortable situations related to race and racism, and to use these situations as learning opportunities. These convenings should also include time for participants to process and reflect on what they learn about structural racism, both introspectively and with their colleagues or peers. This time is crucial because the information about structural racism can be very intense, in part because it makes participants look at the world differently if they had not been exposed to the topic before. 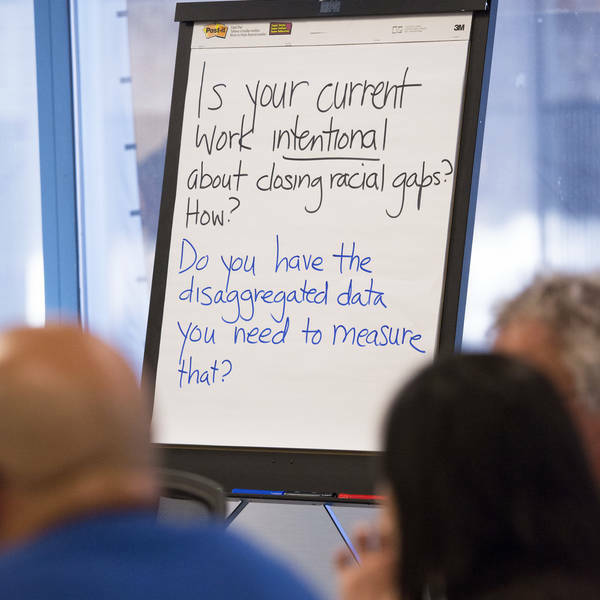 Funders and their partners and grantees must see racial equity as a process and an outcome, thus, it is not about qualitative versus quantitative measures. Changes in policies and practices that support racial equity are primarily captured, documented, and measured in qualitative terms (i.e., description of the change as a result of the intervention), and the number of changes can be quantified. Changes in equity can also be measured by a reduction in disparate outcomes, whether it is education, health, or income disparities; however, this is only part of the story because a reduction in disparities does not necessarily mean equitable policies and practices. Therefore, funders need to accept both qualitative and quantitative measures and also understand that quantifiable changes such as a reduction in disparities will not likely occur within three to five years — the typical timeframe for grant initiatives. Kien Lee, Principal Associate & Vice President of Community Science, leads Community Science’s practice in the areas of cultural competency, inclusion, and equity as they pertain to contemporary issues such as health and behavioral health disparities, healthcare workforce development, immigrant integration, food insecurity, civic participation, and community change.